Is AccorPlus membership worth buying in 2019? AccorPlus is a paid membership scheme offering travellers a slew of special benefits and discounts on accommodation and dining at hotels in the Accor group – including the Sofitel, So Sofitel, Fairmont, Pullman, Novotel, Mercure and Swissôtel brands. 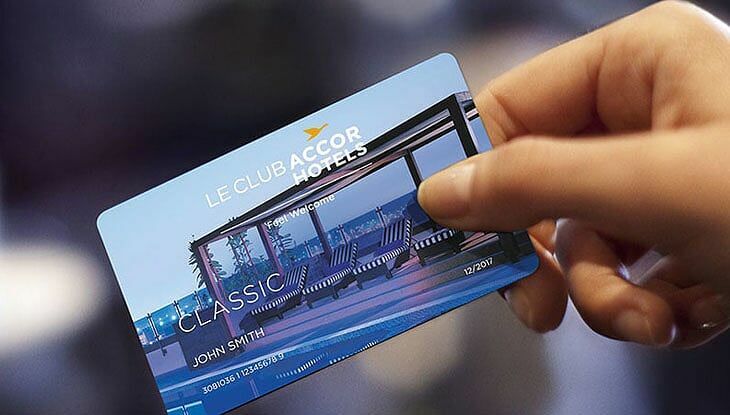 It works in conjunction with the Le Club AccorHotels scheme, which is a more conventional hotel loyalty status program designed to reward travellers who stay in Accor properties regularly. With discounted room rates, a free night, dining discounts and silver status all thrown into the mix, we take a look at the value of AccorPlus to see if it’s worth the $395 signup fee. Like the similar InterContinental Ambassador program, the main star of AccorPlus is the free night stay benefit which is much easier to use than the InterContinental’s version. 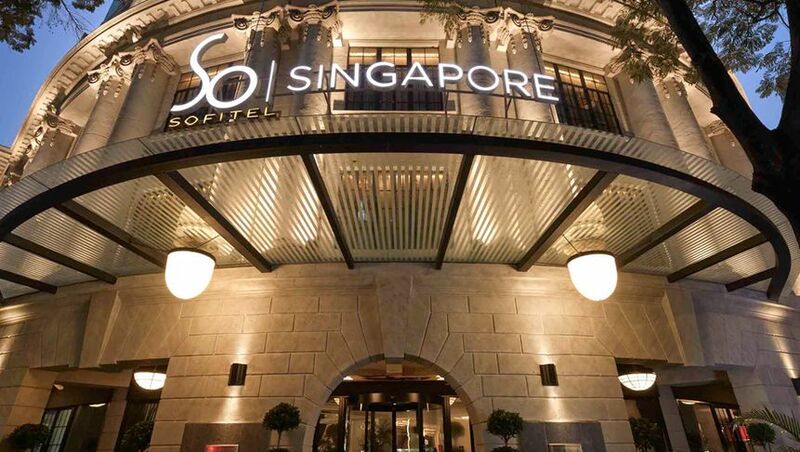 It’s valid for one complimentary night in a standard room at nearly all Accor hotels across the Asia-Pacific region, including at top-tier brands such as Pullman, Sofitel, Fairmont and the boutique MGallery by Sofitel. Upgraded room types are available for an extra fee. There are no specific blackout dates or restrictions in place, but naturally, availability will be limited during peak travel periods. You have 12 months to use the voucher, although the stay must be booked while you are still within the same membership period. If you were planning on staying at one of the higher-end hotels anyway, you can practically recoup the membership fee with one complimentary night and have the rest of the perks as a bonus. While you hold an AccorPlus membership, your status level in the accompanying Le Club AccorHotels program will always be at least Silver, which is great news for anyone just starting out from the bottom. Le Club Silver status normally takes 10 nights or €800 in qualifying expenses over a calendar year to earn, and grants you late check-out, a welcome drink and daily turndown service. AccorPlus can be used to extend Le Club Gold or Platinum status for the rest of your second membership year, as long as you keep renewing your membership. For example, if you join AccorPlus in January 2019 and make it to Le Club Gold in May 2019, then you’ll be able to keep gold status until the end of January 2021 if you renew your AccorPlus membership on time in January 2020. Non-members can only earn their status with eligible stays within previous 12-month calendar year. AccorPlus members also have stays counted from the start of the current year to their membership renewal date, whichever is more favourable. For those hoping to double dip with gaining Le Club Gold status that comes gratis with the Ibis Business Card and then use it in conjunction with AccorPlus offers, keep in mind that technically you can only have one of those two programs active with your Le Club AccorHotels account at any one time. It's possible to have two Le Club Accorhotels accounts – one attached to AccorPlus to get discounted rooms and one attached to Ibis Business Card for the Gold status, but it's up to each property to decide whether you can switch from one membership to the other when checking in. With your membership comes up to 50% off dining at more than 1100 AccorHotel restaurants across 18 countries, plus an additional 15% off drinks in Asia. The best part is you don’t actually have to be staying at that particular hotel to utilise the benefits, so it’s perfect for a quick working lunch when passing through town. You’ll get 25% off the food bill when dining alone, or the maximum 50% off when dining with one other. With two extra guests it drops to 33%, and for three extra guests then it’s 25% off overall. The dining benefits are valid for breakfasts (excluding resort hotels in Australia), lunches and dinners at participating restaurants. There are currently only thirteen excluded properties in Australia. Every Friday, AccorPlus releases a selection of ‘Red Hot Rooms’ which are discounted up to 50%, usually for last minute stays. You might occasionally find a gem that lines up with a trip you’ll be taking in the next few weeks. 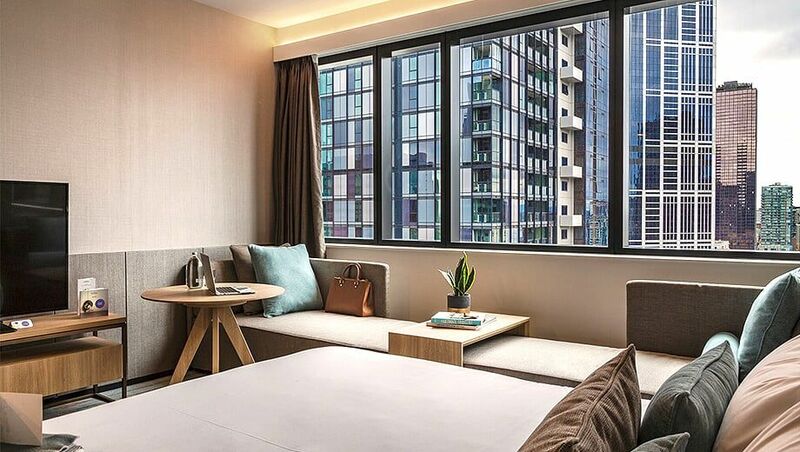 You’ll also get 10% off best available public rates (including restricted rates) across the board on any room type across participating properties throughout Asia Pacific. All things considered, the discounted room rate benefits are not to be sneezed at as you’ll always have access to them throughout your membership. AccorPlus membership: is it worth it? Given the Australian AccorPlus membership price of $395, the main consideration is whether you can get much of that value back with the free night stay. All the other dining and room benefits are good to have, but wouldn’t be your main deciding factors. While Le Club Silver status is better than nothing, if you're likely to hit Gold or even Platinum status, having the extra time to earn your status with AccorPlus could make a big difference. If you're committed in the long run, renewals cost $355 a year thereafter and are best processed over the phone so they can apply the discount automatically. You'll still get the same full benefits in the new membership year. An additional cardholder costs $159 extra, but it doesn’t include the Stay Plus benefit for the free night you'll have to weigh it up on the room and dining discounts alone. I think there are other paid programs that offer more value than this one. I recently accessed my free night and I still had to pay an extra $25 for the room. I always found Accor hard work to find good deals. The 50% off dinner can be selective with some properties not offering it, it’s the reason I stopped paying for this one. I think the comparison between AccorPlus and InterConti’s Ambassador program is a bit off - AccorPlus is primarily a paid in advance dining discount (Sheraton used to have Sheraton Privilege and I think there were others), while Ambassador is a paid status level that is about hotel benefits. The value proposition for Accor’s program really comes if you dine regularly in hotel restaurants in Accor hotels (effectively card holder eats free). I believe that the upside for Accor is both the prepayment for the card and also that it drives revenue towards hotel restaurants that often are required for star rating purposes but otherwise under-utilised. The free night is the marketing piece to persuade you that the card is basically “free”, although my understanding is the free nights come out of specific inventory and are not the easiest to redeem - or more pointedly more difficult to redeem at places you would get maximum value. I have paid for this for around 6 years now. The free night has always been pretty easy to use. Yes sometimes you pay a bit extra for the room you want but never had an issue using. The food and drink discount helps with my business travel and also when travelling with the family. We have stayed at Novotel in Bali and when drinking/eating round the pool for 5 people the discount is very handy. I stay enough to be platinum and with the benefits of that plus the paid membership I’m very well out on top. I cant comment is better than other programs but I definitely recoup my money. I’ve paid for this a couple of years then got it with amex platinum. I probably break even but we have a sofitel in our town and use the dining discount a lot. The staff there probably think we are cheap going in there all the time for lunch. The 50% discount is substantial and the restaurant is very nice but pricey. Thanks for letting us know about the Friday specials. I wasn’t even aware of that!! I’ve found the 40% off promos are a bit bait click as there never seems to be the dates available that I’m looking for. I hope I can get better value with the Fairmont and Swissotel joining the program. I've never had AccorPlus, but I have had Accor Platinum for the last five years and quite frankly I am very disappointed (even disillusioned) with the Le Club loyalty program overall. I retained Platinum for 2018 after they made earning Platinum significantly more difficult than in previous years. I thought they would improve the benefits but other than adding complimentary breakfast in the Asia Pacific (something that I've had to repeatedly chase up) they have made few improvements to the program. At the beginning of 2018 I decided I'd had enough of the Le Club program and decided it just wasn't worth it. At the end of 2018 I had stayed 30 nights (enough for Gold) but most of my stays were just redeeming points I had earned in previous years. In 2019 I plan to actively avoid Accor unless they have a particularly compelling offer. 1. The inconsistent experience. At some hotels the loyalty benefits are fantastic and at others they are terrible and I've had several stays were it was actually a disadvantage to have status. 2. The hasel. I regularly have to chase up missing points. I regularly have to chases up and proactively ask for basic benefits. It's often not worth the effort. If you don't receive the published benefits then what's the point? 3. Accor are often not competitive on price. This is particularly the case in Europe were a Mercure, Novotel, or even Ibis can be $200-300+ a night in mid priced cities. I've found you can often stay in Airbnb or independent hotels for significantly less. I recently stayed five nights in Frankfurt and the very poorly rated Mercure hotels were $250 a night not including breakfast. I ended up booking an independent family run hotel for $100 a night including breakfast. It was a no brainer. 4. Accor have confusing and erratic promotions. 5. Accor have frequent IT issues with their website, promo pages, and Private Members Sale. 6. Accor's customer care for online issues is shocking (even for Platinum members). It often takes weeks to resolve a basic issue. 7. Their online check-in is a joke. I recently stayed at the SO Sofitel Bangkok and even after checking-in online it still took them 20 minutes to check me in. 8. Accor's higher end hotels are often the most disappointing (in particular some of my most underwhelming and disappointing stays have been at Sofitels). I'm writing this as someone who has stayed 250-300 nights at Accor hotels in the last 5 years. I would suggest not to bother and instead just stay at the most convenient hotel. I agree with most of the comments here - they have a great network of hotels across Australia - will be even better when they integrate Mantra into their system (c'mon guys, it can't be that hard!!!!). Brands like Novotel that have very different hotel age and quality (its an issue that others like Hilton are grappling with). I'm fortunate I have Accor Gold with my AMEX so I don't need to focus on building my annual 'stays'. Every Accor hotel I’ve stayed in in Australia has been tired and run down. I can’t say I’ve stayed in many but I’ve stayed in enough to know to avoid them. I have Gold membership status with Accor Plus but won't be renewing it this year. In the past couple of years I have found it difficult to get discounted rooms throughout Europe and parts of Australia and as mentioned by others, their hotels for the most part are more expensive than deals accessible to me via other web sites. I have not even been able to use the "one free night" this past year as every hotel I have stayed at is not a "free night" hotel. I was in Spain in October and could not use the free night there nor the dining 50% off plus was not given an upgrade as was supposed to happen if you are a Gold member. I have also found the sales are not as frequent as in the past and when they are on they never seem to be on sale in hotels I want to stay in. I get the impression Accor now only offer sales for their hotels that are not doing so well? Quite disappointed with their product, it was better years ago. Morrish, it's good to note that the Accor Plus is an Asia Pacific specific product and none of the benefits are available outside this region (dining or free night). As a Gold myself I do agree though that those benefits can certainly be hit and miss. It's probably worth pointing out that to achieve Silver the absolute minimum spend is 800 euros but in reality most people would be spending much more than this. Status points aren't earned on taxes or services charges which are typically 10-20% depending on the country. So most people would need to spend 900-1000 euros. You also earn half the status points at Ibis so therefore most people staying just at Ibis would need to spend 1800-2000 euros to reach Silver which is an obscene amount considering the scant benefits. You also don't earn status points when redeeming points. When you consider the threshold for platinum, the amount of spend required is obscene. The minimum spend for Platinum is 5600 euros (and double this if staying at Ibis). If you add in taxes and some point redemptions it is possible you could spend 13,000 euros (that's over $20k!!!) and still not reach Platinum. It's almost embarrassing! Also, my experience is that incidentals like mini-bar and spa, restaurant, etc are often involved separately and I am sure deliberately and inadvertently hotels don't credit points for many of these expenses. Trying to chase up missing points is time consuming and frustrating. Loyalty programs don't work for people like me who travel to different cities rather than the same ones as location dictates which hotel I will to stay in rather than travel afar to just be loyal to a particular hotel group. I've found no group is in all cities on all continents making it difficult to gain status in my case. It is difficult to book a free night on short notice or Friday/Saturday night; particularly with sofitel or pullman. Discounts for meals are only applicable in oz & asia. Not a good value if compare with other programs. Comment on "Is AccorPlus membership worth buying in 2019?"